For manufacturing day students from our local schools experienced a facility tour of both our Aviation Repair Station where we repair and overhaul aircraft parts using composite technology and our Original Equipment Manufacturing Division which manufactures a variety of new products to include medical and aviation components using composite technology. Phoenix Composite Solutions, LLC (FAA repair station X4PR743X, EASA 145.5623, CAAC F00100598, CAAV VN-047NN, ITAR) provides the following repair services: airframe and engine composite, metal and hybrid composite, metal components, AOG Travel Team, ground test equipment design, build and repair, radome to tailcone repair. Design, test and repair services include Laser/Roamer Arm, CMM, NDT, radome transmission testing. Support Services include 3-D printing, Certified aerospace welding and CNC machine centers, waterjet, plasma & router tables. In addition, we have autoclaves, ovens, phosphoric acid anodizing line, paint-booths and approved clean rooms. Please see our website for facility/engine component & airframe list of capabilities. Our Vice President of Sales and Product Development Marshall Olger will be there ready to talk to you! Thank you to everyone who stopped to see us! 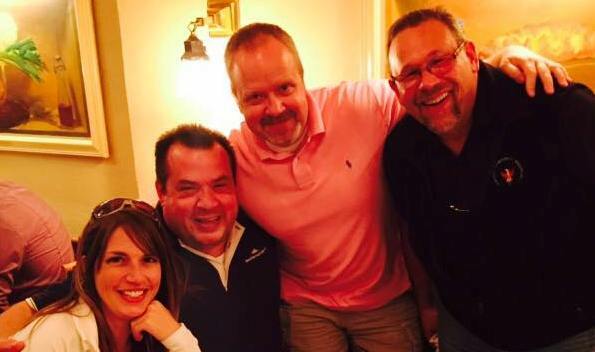 We had a blast and can't wait for MRO AMERICAS 2017. Congratulations to Tammy Cook from Aircraft Technologies Group for winning one of our beautiful blankets. Congratulations to Scott Collins of Future Metals the winner ofPhoenix, our custom raccoon fur teddy bear from AuSable Fur Products. Test Nacelle Equipment extends congratulations to Andrew Benton for going the extra mile to further his education, and our mission of providing skilled & quality support to our customers. 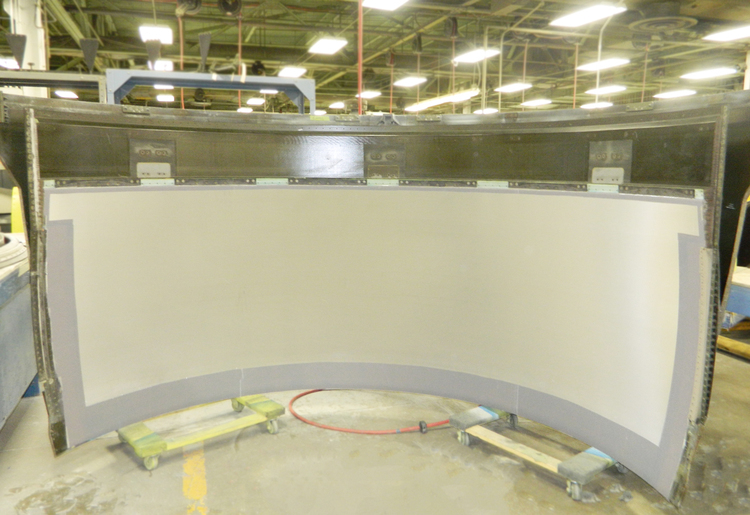 This jet engine ground testing bellmouth is nearing completion. The inspector (laser operator) is using some of the most advanced inspection techniques available to ensure the product meets the drawing tolerances. 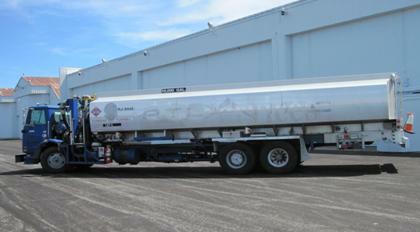 The FBO's Volvo 10,000 gallon aircraft refueling tanker is an exciting new addition to our current facilities. This allows us to provide faster service to our customers. For all your airplane fueling needs visit Phoenix Flight Services! Phoenix Composite Solutions, LLC (FAA repair station X4PR743X, EASA 145.5623, CAAC F00100598) provides airframe and engine composite, metal and hybrid composite and metal components, AOG Travel Team, ground test equipment design, build and repair, radome to tailcone repair. 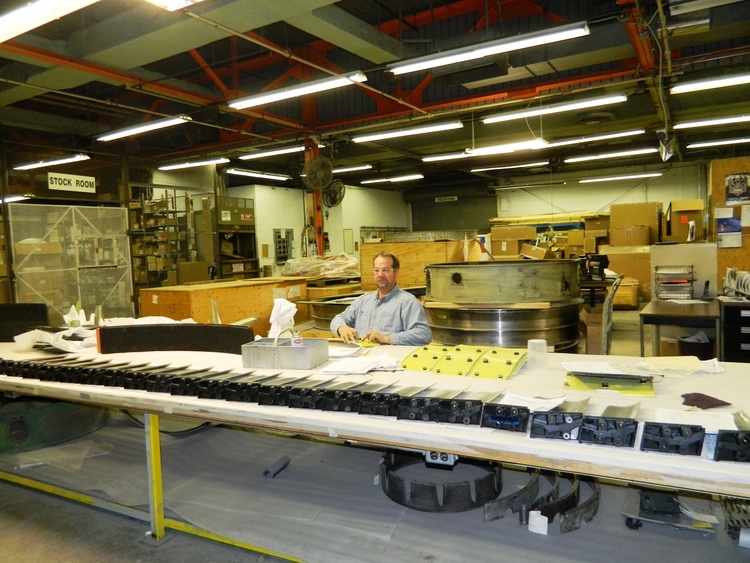 Design and test services include NDT and radome transmission testing. Phoenix Flight Services is a Full-Service FBO located in Oscoda Michigan on the former Wurthsmith AFB. At Phoenix's FBO patrons receive aircraft and customer care provided by our experienced aviation professionals. Whatever your aviation needs, Phoenix Flight Services FBO is the answer. Come check out our New Pilot's Lounge complete with vending machines, foosball table, and many other amenities. VP of Sales and Product Development Marshall Olger visits China. "The ACPC 2015 in New York was a great success as many contacts were made, with a total of 24 meetings with airlines, as well as meetings with many existing customers like Jet International, New Gen, TrueAero, Kellstrom, Infinity Trading, Aero Direct, Ranger Air, A & E Aerogroup, Aerotrends, GA Telesis, STS, Hawk Aviation, ETI, Able Engineering, Heico, CTL, Avtrade, Ansett, AeroTurbine, Aeroxchange, Hawkeye Engine Services, Infinity Air, Killick, Magellan, MD Turbines, MidAmerican, Millennium International, Mitchell Aircraft, TurboJet, Unical & VAS. This show is great for meeting new and existing customers. I also enjoyed sharing the sights of New York, visiting the 9/11 Museum, and paying tribute to the brave men and women who gave their lives to save others. " ~ Marshall Olger, V.P. of Sales and Product Development and Jill Brown Repair Station Operations Planning Manager talking to NEW GEN AEROSPACE after the ACPC show in New York. A Big Job in Istanbul, Pendik,Turkey, PCS is finishing up on A330TR's and cowl doors with Brian Brackrog & Steve Tipton. Great job guys! Lydia Brenk analyzing the tank contents of our PAA line in a process called titration. She is making sure the chemical concentration levels are within spec. Eric Erickson using one of our Romer arms with laser scan for quality control measurements. We currently have 2 Romer arms with laser scan for our quality team to use. Mike Miller operating our Coordinate Measuring Machine (CMM) We use lots of different metrology and Calibration tools to ensure the highest quality for our customers. Renovations at the new pilot's lounge at Phoenix Flight Services are coming along nicely!